Highlights listed by fiscal year dates, July to June. Received grant from The Weissman Family Foundation to send teaching artists into 20 underserved schools to do five-day arts integration residencies. Participated in Literacy Through Arts Projects with Jumpstart’s Read for the Record and Read Across America. Hosted training session for MAAE presenters and teaching artists to prepare individuals to lead 2009-2010 professional development workshop series, September 2009. Hosted 12 professional development workshops entitled 21st Century Schools for 21st Century Students, for teachers and administrators in partnership with the five regional education service centers and MDE, November 2009-May 2010. Had one member serve on elected Network Leadership Committee, Kennedy Center Alliance for Arts Education Network (KCAAEN), with ongoing representation for last eight years. Had three members attend Changing Education Through Arts Conference, Kennedy Center, April 2010. Participated in Arts Day at the Capitol, March 2010, and delivered MAAE posters and information to legislators. Five members participated in MIE Partners training on Arts Integration. Worked as Teaching Artists to deliver Arts Integration model lessons at schools throughout the state. Produced third in series of MAAE Arts Advocacy posters to distribute to schools and organizations and at arts events in MS, March 2010. Sponsored student art exhibit during Arts Front and Center Forum, May 2010. Coordinated fundraiser (art raffle) for participants, Arts Front and Center Forum, May 2010. Produced 10th annual Arts Education Awards Recognition program, May 2010. Developed and hosted Arts Front and Center Forum at the MSU Riley Center in Meridian, May 2010. Coordinated auditions and sponsored student for the 2010 Kennedy Center/National Symphony Orchestra Summer Music Institute, July 2010. Helped facilitate Mississippi Arts Commission’s Whole Schools Institute, July 2010. Presented sessions at Whole Schools Institute, July 2010. Received renewal of grant from Dana Foundation to provide three professional development trainings for teaching artists, Fall 2010. Supported advocacy activities, including 50 States 50 Arts events, and Arts in Education Week, August-September 2010. Offered Arts in Education professional development workshop series. Participated in Network for Arts Education in Mississippi discussion group, hosted by the MAC. Participated in SAAN, the national network for arts advocacy, as part of KCAAEN. Held four board meetings and annual membership meeting. Helped facilitate Mississippi Arts Commission’s Whole Schools Institute, July 2008. Hosted “Train the Trainer” session to prepare individuals to facilitate professional development workshops, November 2008.
with five regional service centers and Mississippi Department of Education, January – June 2009. Produced arts education advocacy poster: mailed to every school in state, January 2009.
for teaching artists, January 2009. Had four members attend KCAAEN Leadership Conference, Washington, DC, February 2009. Had one member serve on Network Leadership Committee, Kennedy Center Alliance for Arts Education Network (KCAAEN) and two members on KCAAEN national committees. Participated in MAC Day at the Capitol, March 2009. Developed and hosted Arts Front & Center Forum in Meridian, April 2009. Sponsored student art exhibit (65 pieces from 15 schools, sponsored by 20 MAAE members) during Arts Front & Center Forum, April 2009. Coordinated fundraiser (art raffle) for participants, Arts Front & Center Forum, April 2009. Produced ninth annual Arts Education Awards Recognition program (seven awards presented) during the Arts Front & Center Forum, April 2009. Hosted one professional development workshop for teaching artists funded by the Dana Foundation, June 2009. Coordinated auditions and sponsored three students for the 2009 Kennedy Center/National Symphony Orchestra Summer Music Institute, June – July 2009. Hosted four professional development workshops for teaching artists funded by the Dana Foundation, July 2007– February 2008. Helped facilitate Mississippi Arts Commission’s Whole Schools Institute, July 2007. Co-hosted “Leadership: A Natural Art” Conference in Jackson, January 2008. Produced arts education advocacy poster: mailed to every school in state, January 2008. Participated in Network for Arts Education in Mississippi discussion group, hosted by the Mississippi Arts Commission January 2008. Had four members attend KCAAEN Leadership Conference, Washington, DC, February 2008. Participated in MAC Day at the Capitol, March 2008. Developed and hosted Arts Front & Center Forum in Meridian, April 2008. Produced eighth annual Arts Education Awards Recognition program (nine awards presented) during the Arts Front & Center Forum, April 2008. Participated, by invitation, in series of meetings at regional education service centers across state, April – May 2008. Coordinated auditions and sponsored one student for the 2008 Kennedy Center/National Symphony Orchestra Summer Music Institute, June – July 2008. Promoted and supported MDE Summer Education Conference, June 2008. Hosted “The Art of Leadership Conference” in Jackson, October 2006. Nominated two schools for “Creative Ticket School of Distinction Award” at the national level. Developed and hosted Arts Front & Center Forum in Meridian, March 2007. Produced seventh annual Arts Education Awards Recognition program (nine awards presented) during the Arts Front & Center Forum, March 2007. Completed Take Part work and produced document, “Mapping the Future of Arts Education”. Participated in MAC Day at the Capitol. Coordinated auditions and sponsored two students and one alternate for the 2007 Kennedy Center/National Symphony Orchestra Summer Music Institute. Had three members attend KCAAEN Leadership Conference, Washington, DC. Had one member serve on Network Leadership Committee, Kennedy Center Alliance for Arts Education Network (KCAAEN). Helped facilitate MAC Whole Schools Institute. Participated in MDE Summer Education Conference. Hosted three “Alliance Alive” professional development workshops: Meridian, Hattiesburg, Cleveland. Nominated one school for “Creative Ticket School of Distinction Award” at the national level. Developed and implemented Arts Education Professional Development Track at the Mississippi Department of Education’s TRAIN Conference in Oxford, June 2006. Produced sixth annual Arts Education Awards Recognition program (ten awards presented) during the 2006 TRAIN Conference. Continued Take Part work and developed status of arts education survey. Coordinated auditions and sponsored one student who attended 2006 Kennedy Center/National Symphony Orchestra Summer Music Institute. Hosted fourth H.E.+ ARTs Conference (Higher Education plus the Arts) at Eagle Ridge Conference Center, Jackson. Met with legislators during MAC’s Day at the Capitol. 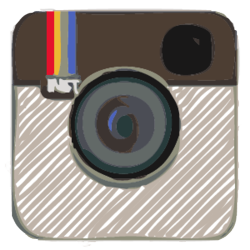 Supported advocacy activities and promoted arts education throughout year. Developed and implemented a first-ever Arts Education Professional Development Track at the Mississippi Department of Education’s MEGA Conference in Biloxi, June 2005. Coordinated and presented six off-site professional development workshops during the 2005 Mega Conference. Produced fifth annual Arts Education Awards Recognition program (eleven awards presented) during the 2005 Mega Conference. Continued Take Part work in collaboration with Community Audit sites around the state and developed status of arts education survey. Coordinated auditions and sponsored two students who attended 2005 Kennedy Center/National Symphony Orchestra Summer Music Institute. Had one member serve on National Leadership Committee, Kennedy Center Alliance for Arts Education Network (KCAAEN). Held three board meetings and annual membership meeting. Hosted the H.E.+ARTs Conference (Higher Education plus the Arts) at Eagle Ridge Conference Center, Jackson. Conducted training workshop for teachers on Visual and Performing Arts Framework, Jackson. Coordinated and presented professional development workshops on the Visual and Performing Arts Framework, Tupelo, Jackson, Hattiesburg. Held Town Meetings at five sites across state; conducted Community Audit at each location. Focused on advocacy at MAC’s Day at the Capitol. Produced fourth annual Arts Education Awards Gala (ten awards presented) at Mississippi College. Had four members attend KCAAEN Leadership Conference, Washington, DC. Had member serve as Chair, National Governance Committee, Kennedy Center Alliance for Arts Education Network (KCAAEN). Held two board meetings and annual membership meeting. Focused on strategic planning and development at MAAE Board of Directors’ Retreat. Received 2003 Governor’s Award for Arts Education and Advocacy. Nominated three schools for “Creative Ticket School of Distinction Award” at the national level. Presented “Alliance Alive” workshops on all arts disciplines at Delta State University and Lynn Meadows Discovery Center. Presented “Alliance Alive” workshops on multiple intelligences at University of Southern Mississippi and University of Mississippi. Produced third annual Arts Education Awards Gala (eleven awards presented) at Mississippi College. Had member elected Chair, National Governance Committee, Kennedy Center Alliance for Arts Education Network (KCAAEN). Produced on-site Alliance Alive Workshop on dance and visual art at Delta State University. Produced NBPTS Orientation Workshop for music educators via distance learning at 7 sites around state. Attended by invitation special State Arts Education Partnership meeting in Washington, DC. Selected to participate as one of 22 sites to conduct Community Audit project sponsored by Kennedy Center. Produced Grant-Writing Workshop for arts educators via distance learning at 6 sites around state. Produced on-site Alliance Alive Workshop on four arts disciplines at Lynn Meadows Discovery Center, Gulfport. Presented Schools of Excellence Awards at state level to Biloxi High School and Florence Middle School. Nominated Florence Middle School for national Creative Ticket Award sponsored by Kennedy Center. Compiled and produced on-line Professional Development Directory for state arts educators for Summer 2002. Held two Board of Directors meetings and sessions on long-range planning. Sponsored one student for National Symphony Orchestra Summer Music Institute. Nominated and had elected one member to National Governance Committee for Kennedy Center Alliance for Arts Education Network. Presented session on Community Audit on Capitol Hill during Kennedy Center Annual Leadership Conference in Washington, DC. Organized and convened H.E.+ARTs Conference, Delta State University (Higher Education + the Arts). Hosted two state-wide distance learning workshops. Presented a workshop at the KCAAEN meeting in Washington, D.C. Participated in Arts Day at the MS Capitol. Created a new membership brochure. Posted legislative alerts through broadcast e-mail messages and website. Hosted the H.E.+ARTs Conference (Higher Education plus the Arts). Produced the first-ever Arts Education Awards Gala (seven awards presented). Distributed Professional Development Directory to state-wide constituents. Held three board meetings plus a board retreat. Submitted nomination for Governor’s 2000 Awards and for KCAAEN/National School Board Award. Participated in and assisted with MAC Economic Impact Study. Collaborated with Starkville High School on presentation gala to celebrate receiving KC “Creative Ticket Award”. Held Board of Directors Retreat for long-range planning. Coordinated auditions and had 2 students selected for National Symphony Orchestra Summer Music Institute. Compiled and produced Professional Development Directory for all state arts educators for Summer 2000. Developed and launched MAAE website: www.msartsalliance.com. Partnered with MAC for Day at the Capitol to advocate importance of the arts to the state’s economy. Hired lobbyist for arts advocacy during 2000 legislative session. Organized and hosted 2 distance learning workshops (grant-writing and NBPTS) at 5 sites around the state. Participated in “Animating Communities through the Arts” Conference, Biloxi, MS. Produced Smart Teacher Workshop on arts integration via distance learning media. Presented session on Professional Development via Distance Learning Technology at Kennedy Center Annual Leadership Conference in Washington, D.C. Produced NBPTS Orientation Workshop for music and visual arts via distance learning media. Town Meeting speakers advocated funding for arts to Senate Education Committee. Hosted NAEP Teleconference statewide at nine different sites. Partnered with MDE and MAC in an Administrators’ Forum for purpose of producing policy handbook for school administrators. Supported partnership project, MAC Summer Institute, for training teams of teachers and principals on arts education. Sponsored Arts Education Summit for higher education arts deans, chairs, teachers. Coordinated auditions and had four students selected for National Symphony Orchestra Summer Institute. Proposed and had accepted a candidate for National Symphony Orchestra Teacher Fellowship. Presented “Schools of Excellence” Awards to Hattiesburg and Starkville Public School Districts. Sponsored Hattiesburg and Starkville High Schools for “Creative Ticket National School of Distinction” awards (John F. Kennedy Center). Starkville received one of only five awards presented nationwide. Nominated Starkville School Board for Kennedy Center/National School Board Association Award. Sponsored GOALS 2000 workshops in three locations to encourage arts education inclusion in grants. Offered technical assistance to school districts writing arts education grants. Developed report card on arts education in each school district. Funded project to collect data for inclusion in publication “The Vigor of Arts Education in Mississippi”. Collaborated with MDE to promote Summer Arts Institute (LITA). Introduced a bill in the 1997 legislative session for funding for arts education in a phased-in sequential manner. Targeted specific groups to collaborate an advocacy effort for the bill’s introduction and vote. Collaborated with Goals 2000 Leadership Committee to produce a survey on arts education. Held seven “Conversations” on arts education throughout the state. 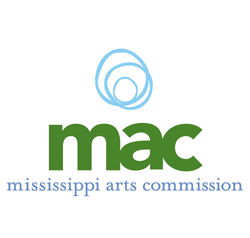 Research document ‘Implementing the Mississippi Fine Arts Frameworks’ published and distributed. Received funding from the Kennedy Center for the Performing Arts (KC) for production of a short video showcasing exemplary arts programs in MS; collaborated with MAC to develop video. Worked with consultant to produce a resource packet to assist in advocacy efforts. Held a two-day Board of Directors retreat which included advocacy and legislative training. Developed a legislative phone tree and legislative packet for members. Sponsored, supported, and participated in 1996 Arts Convention at USM. Clarified long-range goals and developed strategies to achieve; defined the role of the board member by developing committees. Co-sponsored the 1995 Convention on Arts Education. Executive Director Nelle Elam was appointed to the Goals 2000 S.T.E.P. Board. Board held long-range planning retreat. Planned, as co-sponsor with Mississippi Arts Commission (MAC), for a convention on arts education. Advocated for the hiring of an arts education coordinator at the Mississippi Department of Education (MDE). Participated in speakers’ network sponsored by MAC. Mailed information regarding Mississippi Senate Resolution declaring the 1993-94 school year the “Year of Music and Arts Education in Mississippi”. Gained active status with the Kennedy Center Alliance for Arts Education Network (KCAAEN). Mississippi Alliance for Arts Education (MAAE) revitalized and reorganized; began advocacy work and programs; Board of Directors appointed; refined and ratified bylaws; applied for and received nonprofit status from IRS; hired a part-time administrator. Resolution to incorporate adopted by the Mississippi Alliance for Arts Educaton, August 24, 1978. Charter of Incorporation of the Mississippi Alliance for Arts Education approved April 4, 1979, by the State of Mississippi. Constitution and Bylaws adopted by Mississippi Alliance for Arts Education January 19, 1974, in the offices of the Mississippi Arts Commission, Jackson, Mississippi.